breastfeeding brings to her days and nights. 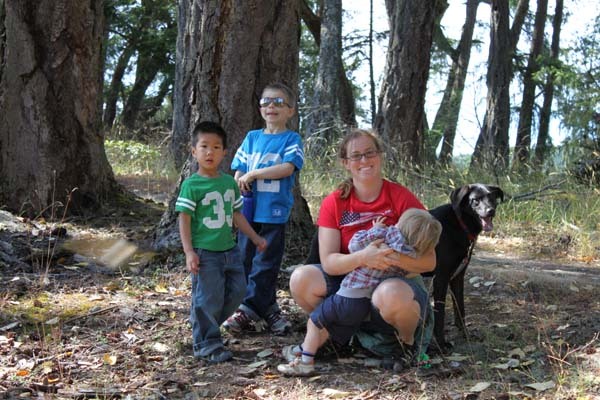 Nursing while hiking with three kids, a dog, and preggers! Melissa blogs at White Noise. Ashley blogs at Domestic Chaos. 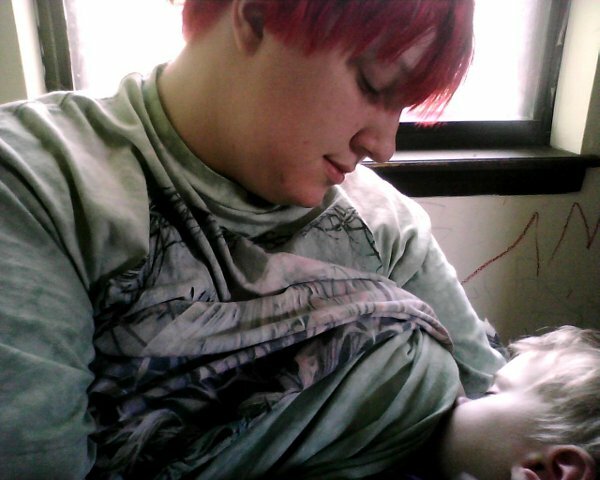 Rebekah, breastfeeding her oldest when he was 10 months old. 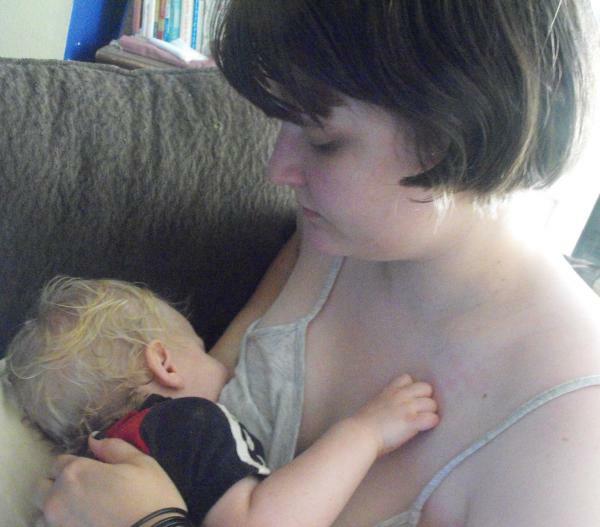 Rebekah, breastfeeding her youngest at 16 months old. Brittany nurses her 23 month old son Asher at a local photo shoot for breastfeeding moms. Amy nurses her son Daniel, (at home in bed) two hours after his birth. Isil, breastfeeding her son minutes after the birth. Lauren enters into the challenges and joys of tandem nursing with newborn Alrik and preschooler Mikko. Dionna at Code Name: Mama nurses her three-year-old son, Kieran. Dionna is in her second trimester of pregnancy, and she is overjoyed that Kieran has finally stopped twiddling! Aelyn, age two, loves her nursies. Front row seats for the the most amazing view! 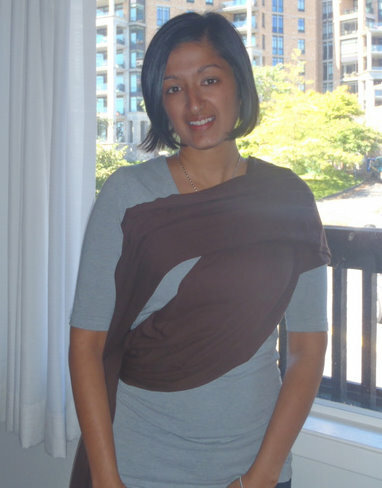 India blogs at India’s Roses. Ashley’s son, Nikolai, enjoying his milkies at the beach after a tiring day of swimming. Tracy nurses her twin girls Callie and Veronica shortly after birth, and then again at about 18 months. They’re still going strong at 30+ months! Sasha, swaddled and nursing at 2 months. 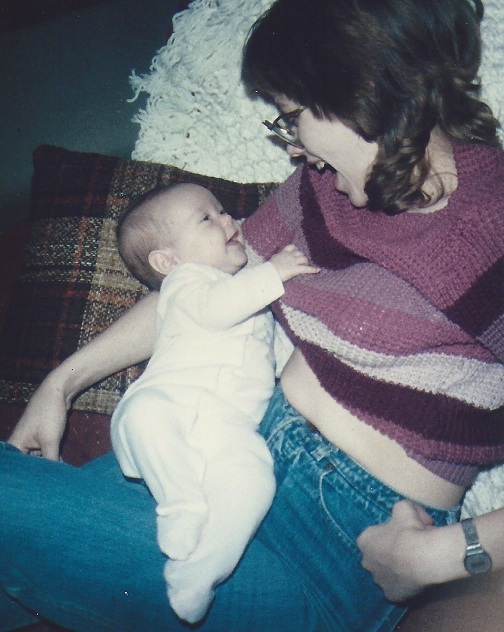 Tell us: What does breastfeeding look like in your family? Such sweet pictures! I have no hope of choosing a favorite. That Sasha pic is speaking to me, Jorje. What a beautiful collection this week! Happy Breastfeeding Week to everyone! oh wow! We have such beautiful children! We are such beautiful moms. 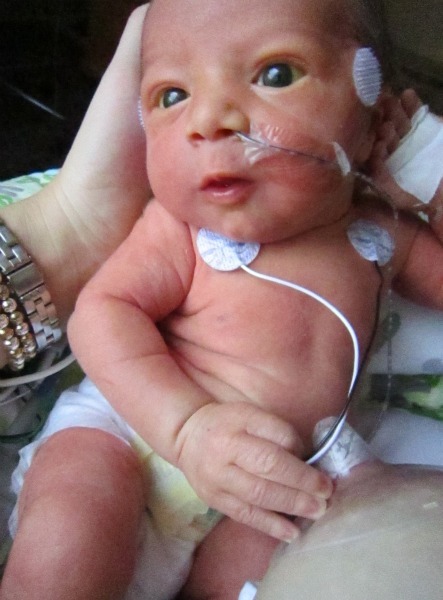 Okay, I have a favorite, other than my own….the twins….or that ridiculously cute preemie on tube.